Africa has three primary travel hubs – Johannesburg, Addis Adaba, and Nairobi. The majority of flights into Africa land in the morning and depart hours later towards the late evening resulting in a layover in Nairobi. Often this means you’ll have a ‘transit’ day to spend exploring Nairobi. 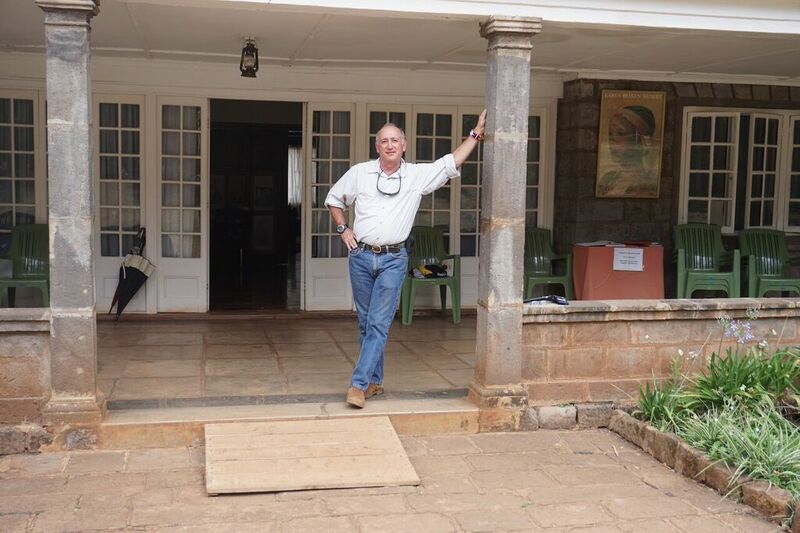 I’m often asked if there’s anything to do during a quick trip to Nairobi and my answer is always – absolutely! In fact, there are so many things to do in and around this major African city that you might have trouble choosing how you would most like to spend your time. Home to about 3 million people, just make a note of the often notorious traffic and the location you’d like to visit during the time between your flights. Allow enough time to get to and from your destination and back to the airport with time to spare for check-in and security. If you stay on the west side of the city you can have a wonderful day and still make it back to the airport with plenty of time. 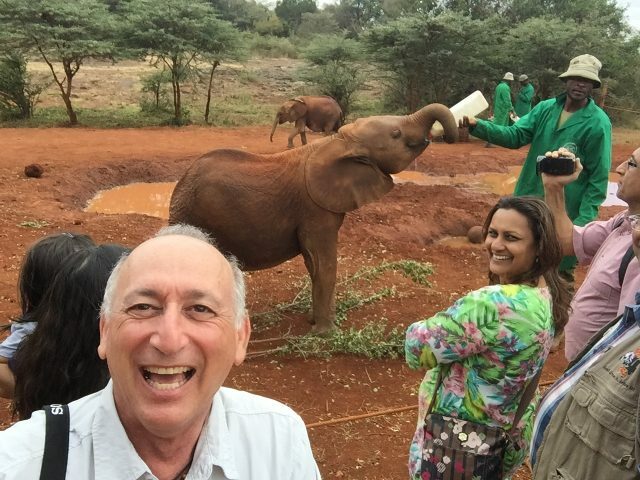 The David Sheldrick Wildlife Trust is one of Kenya’s environmental treasures. Founded in memory of her late husband David Sheldrick, the widowed Dame Daphne Sheldrick established the Trust in 1977. Sheldrick was the first warden in Tsavo East and since it’s creation the Trust, also known with great love by its fans and followers as “DSWT” does an enormous amount of work in Kenyan wildlife protection and preservation. From supporting mobile veterinarians in the bush (check out my video Elephant ER showing the incredible work these units do) to funding anti-poaching efforts, DSWT is a formidable force for wildlife protection in Kenya. However DSWT is perhaps best town for their rescue, rehabilitation and reintegration into the wild of baby elephants. Every day you have the chance to watch the baby elephants playing with each other and their keepers as well as being bottle-fed. This is an incredible experience and I was so touched by it that I sponsored a baby elephant named Jotto. We are so proud to have him as a member of our Infinite Safari Adventures family and I love it every time I get to visit him. You can’t help but fall in love at the David Sheldrick Wildlife Trust. Have you ever wanted to get up close with a giraffe? How about feed one? Have a kiss from their blue tongues? Well you’re in luck because this is all on the experiential menu during a visit to the Giraffe Centre. 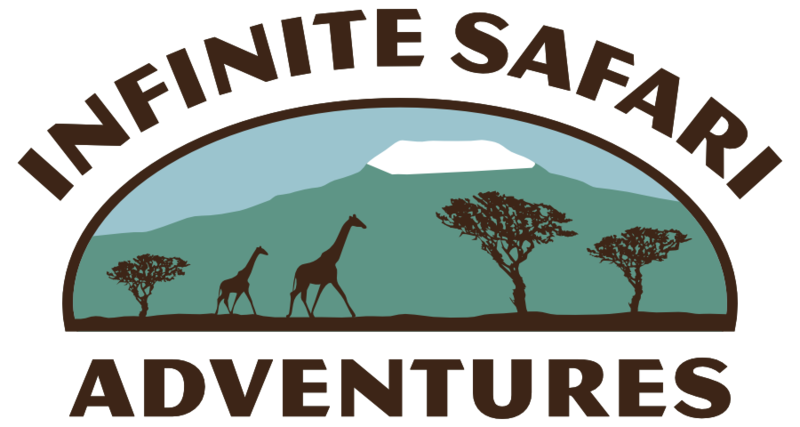 The Giraffe Center’s goal is to raise funds to educate Kenya’s next generation about the importance and conservation of wildlife in their country. The money visitors pay to enjoy a bite to eat at the treehouse, pick up unique souvenirs at the shop, or donate during their visit goes directly to educational programs for Kenyan youth. Specifically, the Giraffe Centre focuses on conservation of the rare Rothschild Giraffe. After a short talk where the staff of the Giraffe Centre talk more about the Rothschild Giraffe, you get the chance to feed these amazing animals. On a side note, a giraffe was the first animal I saw on safari and what made me fell in love with Africa! For the real animal lovers, you can hold a food pellet between your teeth and let one of these long-necked wonders take it right out of your mouth with their smooth blue tongues! Here is me being kissed by a giraffe! What’s better than shopping for beautiful jewellery? How about when every purchase also benefits the women of Kenya! If this sounds like a great day out then you should plan to visit the factory and shop of Kazuri Beads. “Kazuri” translates to “small and beautiful” in Swahili. 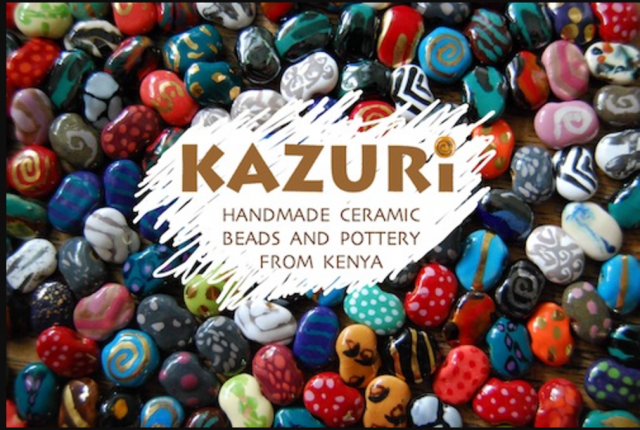 In 1975 two women in a tiny workshop began experimenting with making beads by hand, and thus Kazuri Beads was born. Over the past 30 years it has grown significantly and now benefits women and single mothers in villages around Nairobi. The regular and solid employment is essential for these women and the beads are stunning pieces. Each one is still made by hand. Tour the factory and check out the shop, for the ladies in your life it may very well be the best place to pick up their souvenirs! Have you seen the Robert Redford and Meryl Streep classic movie “Out of Africa”? Based on a book by writer Karen Blixen, “Out of Africa” inspired countless African safaris. If you loved the film, or the book, why not take a trip to the place where it was written? Author Karen Blixen’s house is now a museum and visitor centre where you can take a peek back into life in 1920’s Kenya. Built in 1912, Blixen lived there for ten years while running a coffee plantation. Knowledgeable and welcoming guides will take you on a tour of the property and you’ll experience first-hand how easy it would have been to fall in love with Africa in the 1920’s, despite the challenges that came with it. If you really love it, or are looking for a unique place to get married, you can even rent Karen Blixen house! Whichever of these four amazing sites you choose during your layover in Nairobi, you’ll return to the airport energised by your day in Nairobi and full of excitement to experience the rhythm of Africa as your safari unfolds!